Striker Yabeh Idriss (No 9) gave Djiboutians a 13 minute lead when he scored the opener goal, as Djibouti was committed to winning in the match they dominated most of the first half which ended in 1-0 in favour of the Djiboutian youngsters. In the early minutes of the second half Burundi intensified their attempts to compensate for the goal, but it took to them to score until the 76th minute of the second half when striker Kevin Raoul (No 16) made the equalising goal for his team. 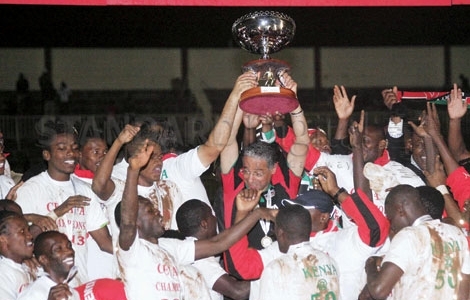 The return match is scheduled in the Burundian capital Bujumbura on 26th of April 2014. Each of the teams needs at least 1-0 victory in the return match to be able to go through to the second leg to continue their struggle toward the 2015 African youth event to be hosted in Senegal. Meanwhile, President Souleiman Hassan Waberi of Djibouti congratulated his youngsters for making high profile exhibition during Friday’s match although they were unsuccessful to win. 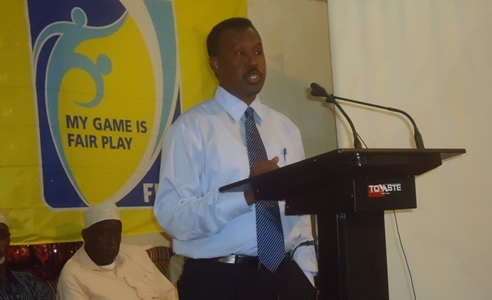 “In football matches you can expect victory, draw or defeat, but I am really happy with how well my youngsters exhibited today and I am hopeful they will do much better in the upcoming match in Bujumbura” President Soulaiman Hassan Waberi told CECAFA media in Djibouti on Friday.